4 ounces of white huacaya alpaca from a small alpaca farm processed by Stonehedge Fiber Mill. 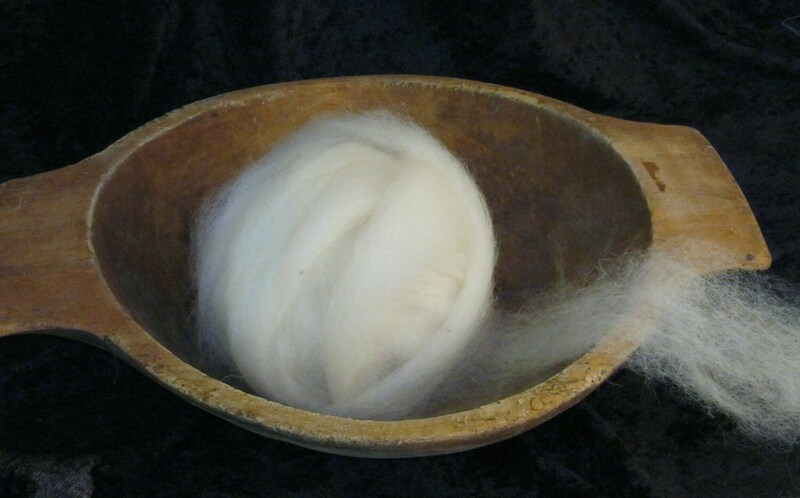 This is a very fine alpaca fleece that contains few coarser fibers. It is the "blanket" area of the alpaca which is the finest fiber on the animal. Try it next to your skin. Spin it fine for a lace and heirloom items. Very slight amount of vegetable matter. Your roving will be sent as a loose bundle rather than wrapped as a ball. If you would like a larger amount, please convo me.